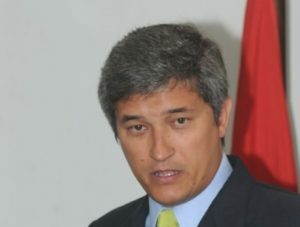 PHILIPSBURG — Communication’s Officer of the of the Anti-Corruption Taskforce TBO, Roderick Gouverneur, informed StMaartenNews.com that today the court has granted the Prosecutor’s Office permission in order to prosecute Theo Heyliger in the LARIMAR investigation. In a closed door session on Thursday afternoon, the Prosecutor’s Office petitioned the Common Court of Justice for permission to prosecute Heyliger in the Larimar investigation into corruption, bribery and money laundering. 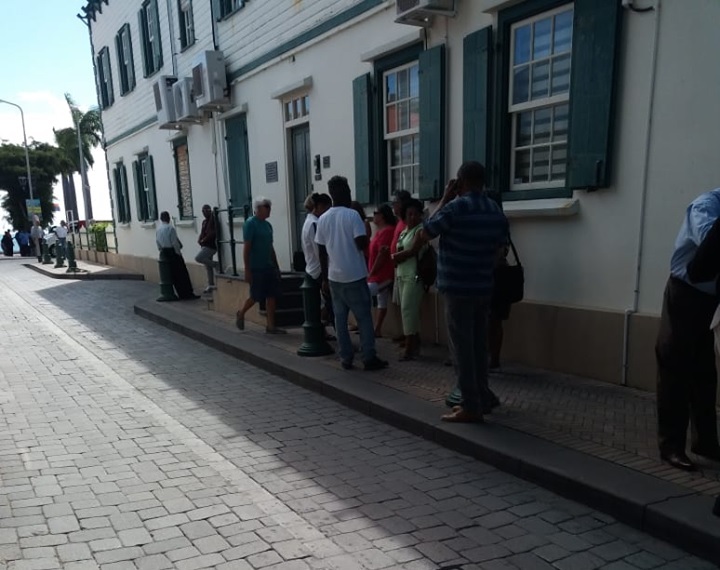 Photo caption: A gathering outside the court house in the alley with among others, President of Parliament Sarah Wescott-Williams and MP Sidarth Bijlani on Thursday, February 21, 2019. Photo by Andrew Bishop. More photos can be seen online on our Facebook page here.